We’re getting so close!! Close to what, you ask? 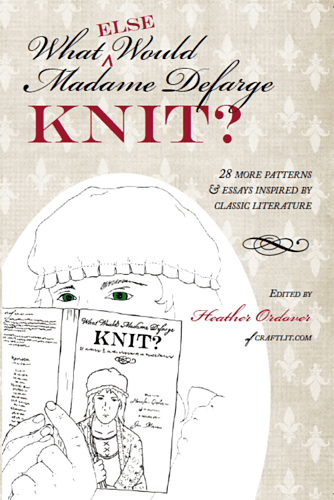 Close to the big release for What (else) Would Madame DeFarge Knit!! The book is already available for pre-orders and it will be going to print soon! 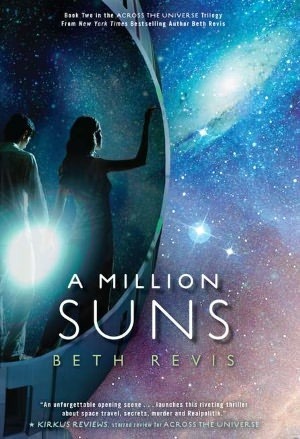 Why am I so excited about this book? 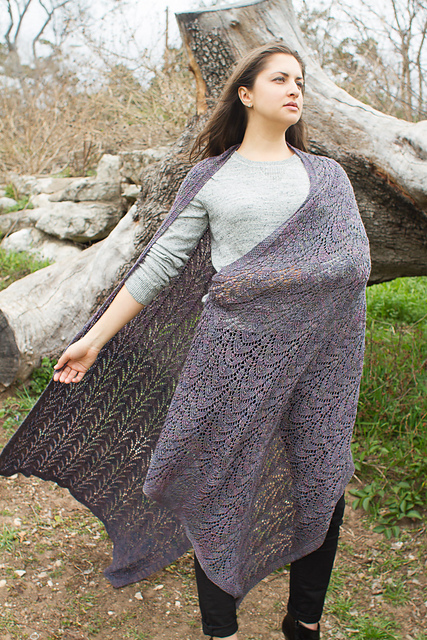 Well if you haven’t guessed yet, I have a pattern in it! I’m not going to tell you my story, or my character (yet). But I can say, it’s VERY me. 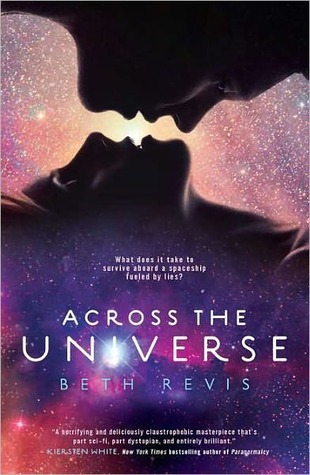 This is going to be an awesome book. We’ve got 25 designs from both new and established designers. There will be COLOR photos (this is new compared to the first in the series.) That gorgeous blue in the sneak peek? 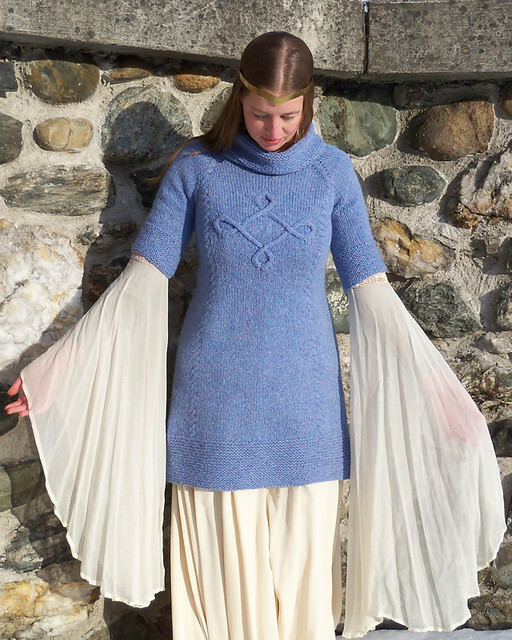 It’s Cornflower Highland, a 100% shetland wool from the incomparable folks at Harrisville Designs. I hope this book is very you as well! 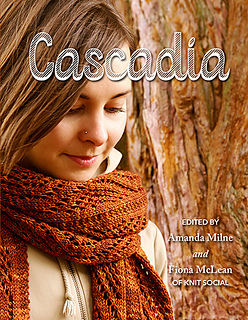 If you’re looking for more information check out the book details over at Cooperative Press, or on the W(e)WMDFK website. Do you want to know the moment the book is released? 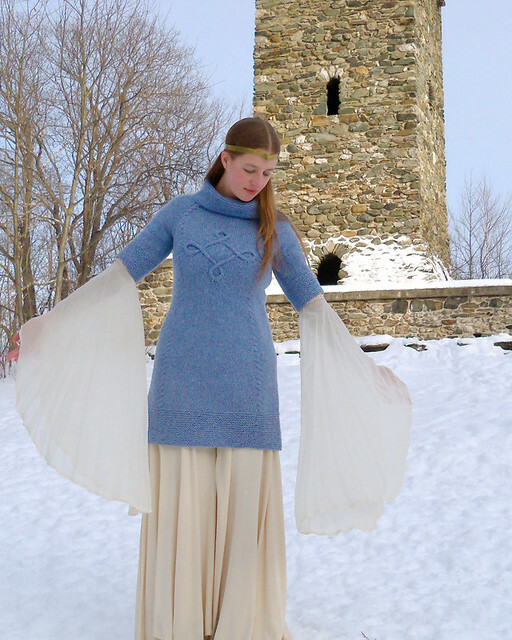 Do you want a chance to win FREE patterns and other goodies? (Of course you do.) Just sign up for the WWMDFK e-mail list. There are lots of exciting treats and announcements coming soon! I have hinted to this several times, and I decided it’s well past time to make an official* announcement! I’m writing a book!! I’m teaming up with Coopertive Press and my friend Calley Hastings at Fat Toad Farm for this endeavor. We’re all very excited because this is a fairly unique idea which (I hope) will appeal to a lot of you. 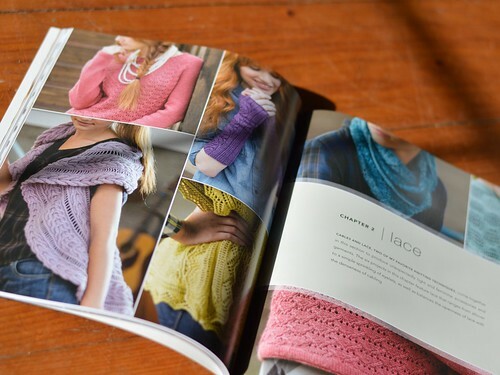 The book will not be just knitting patterns, but knitting patterns combined with cooking and baking recipes. Calley and I are working together to develop patterns and recipes which are tied together through ingredients, colors, textures, and the seasons. 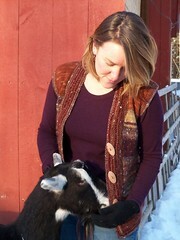 Calley is responsible for many of the recipes on the Fat Toad Farm blog as well as a series on the Burlington Free Press and most recently in the print edition of the Boston Globe. 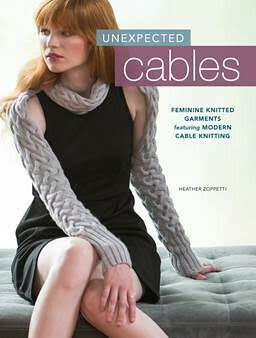 The recipes will use seasonal ingredients, the patterns will use thoughtfully sourced yarns. 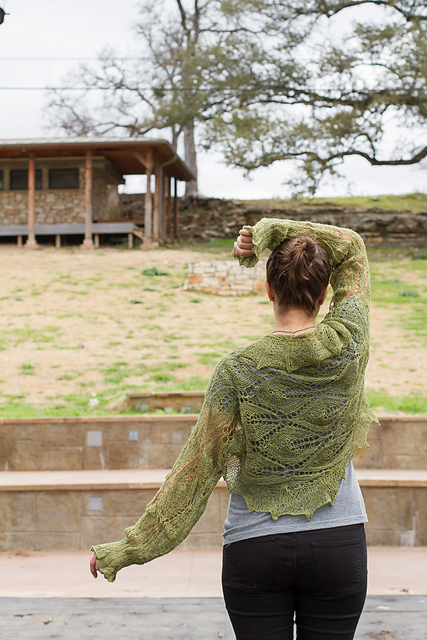 We will include suggestions for substitutions and modification in both ingredients, styles, yarns… We believe there’s a lot of similarities between taking a knitting pattern and making it your own sweater and taking a cooking recipe and making it a family favorite. The process is well started already. 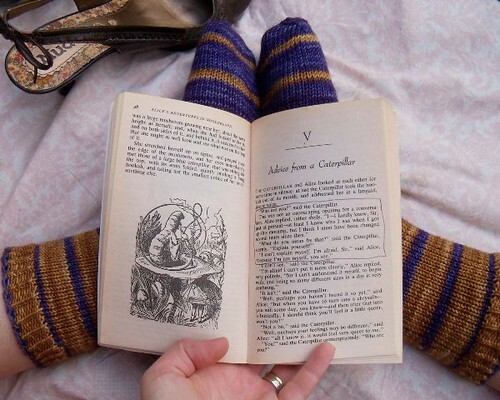 Just about all the fall knitting is finished and Calley is polishing those recipes. 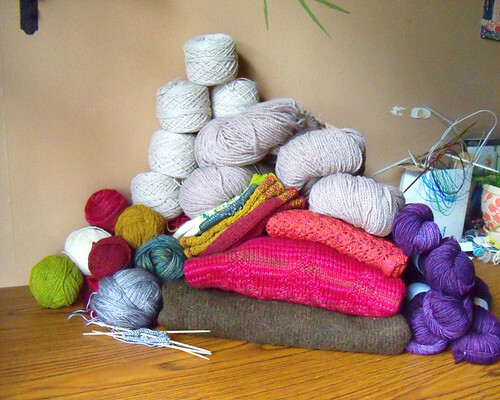 The winter yarn is rolling in and another round of knitting is under way. I love the feel of this project growing organically through our hands. I love reaching out to my favorite indie dyers and the small farms and mills I’ve always respected to ask them to be partners in our project. 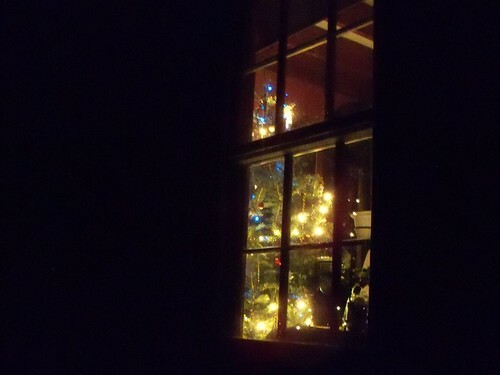 In order to express the seasonal feeling, the ties to the land, that we feel are so important for this project Calley and I are also providing all the photography. 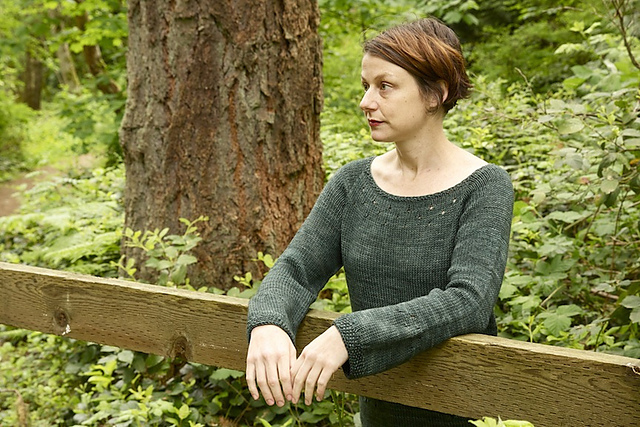 This is where the deadline knitting comes in. Rather than having a whole passel of designs that are all due at once I’m working with rolling deadlines. The october project needed to be photographed in conjunction with the foliage. The February design needs to be done while there’s snow on the ground. This connection to the seasons is actually a change from my normal design process. For most magazine publications I’m working on winter designs just as spring arrives. So if I seem a bit preoccupied, or if the knitting photography seems a little thin around here for the next 10 months please excuse me. Know that I’m busy behind the scenes! On that note, we do have a request. Over the next year we’ll be looking for test knitters AND test cooks. If you’re interested please leave a comment below. Make sure the e-mail address you provide is a good one and I’ll get in touch with you about your preferences. We’ll need all volunteers to agree to keep the details of their work secret until the book is published. But once it is you’ll be welcome (and encouraged) to write a blog post, put details on ravelry, post food photos to flickr, and tell all your friends! *As opposed to the unofficial announcement I made on twitter, if you’re wondering where else you’ve seen this. To check out design details and more you can see their page, here. 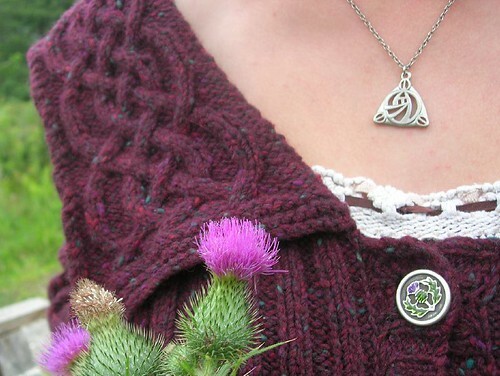 And of COURSE they’re on Ravelry (here) for your queuing pleasure. Don’t you think “queuing” is a weird word? Ok, moving on! 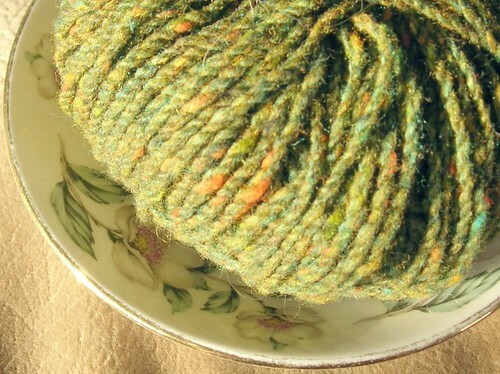 These socks are knit out of the same sportweight superwash merino as my Lime Sorbet cardi. 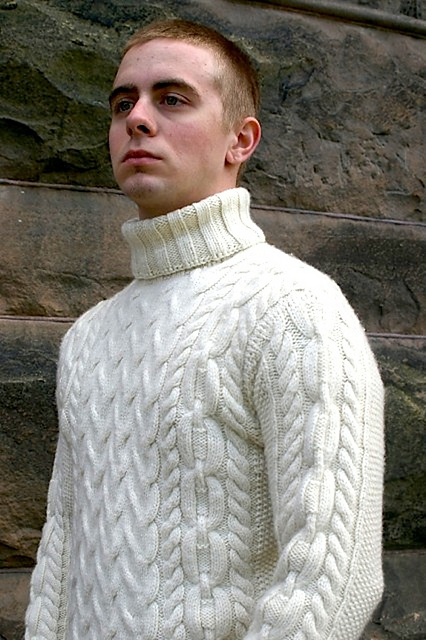 That’d be Periwinkle Sheep’s Merino Sport. She’s adding some new colors to her store this month, so you can knit stripes in whatever combination makes you happy! 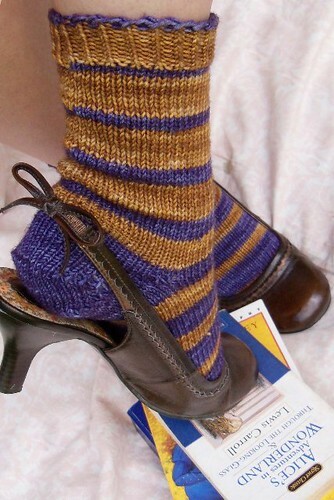 Along with graduated stripes worked out in 5 sizes these socks also have a forked short-row heel. This isn’t a completely new technique, but it is one I haven’t seen in use as often. The forked heel provides a little extra fabric. I find that short row heels are always a bit tight, and then they wear out quickly. These heels should be a great improvement over that! 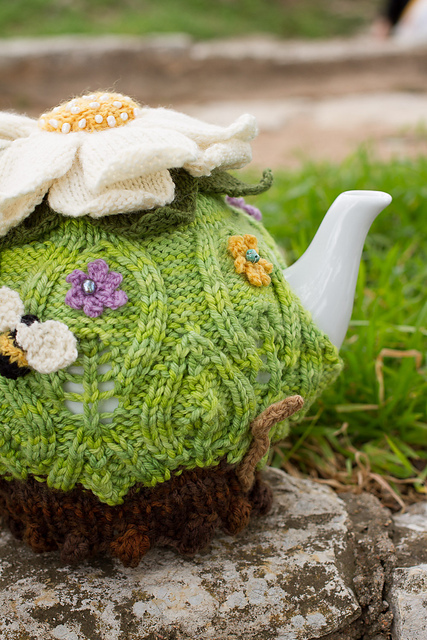 And yes, this is the Alice themed pattern I posted about awhile back. 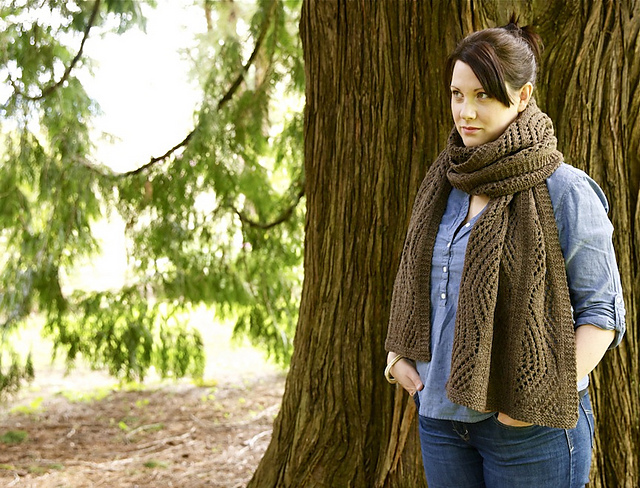 Which means that Annika of NoirBettie will be getting a copy of the pattern! I’m really excited to be a part of the blog tour for Stephannie’s new book California Revival Knits Not only do I love everything Cooperative Press is doing these days, but Stephannie is one of the wonderful tech editors who helps make sure my indie patterns are error free by the time they land in knitters hands. 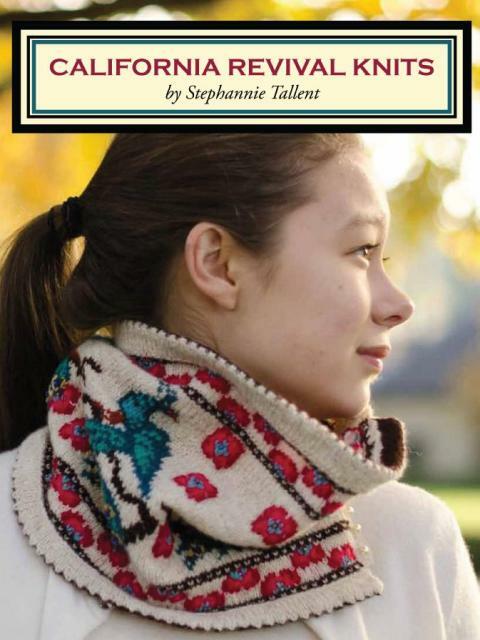 Knowing Stephannie’s eye for detail I expected this book and pattern collection to be beautiful, and it is. 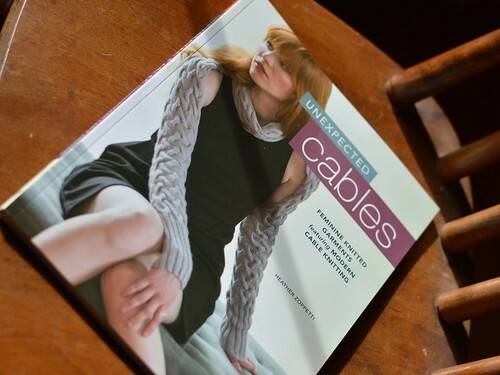 It’s full of the complex sorts of designs I love best- twisty cables, fancy colorwork, lace, and beads – every pattern has a little something to make it extra special. But The book is written and laid out in such a way as to make these totally approachable. The charts are clean and easy to read, the directions are simple and to the point without being wordy. I wouldn’t hesitate to recommend these patterns to someone who wants to try a new technique for the first time! 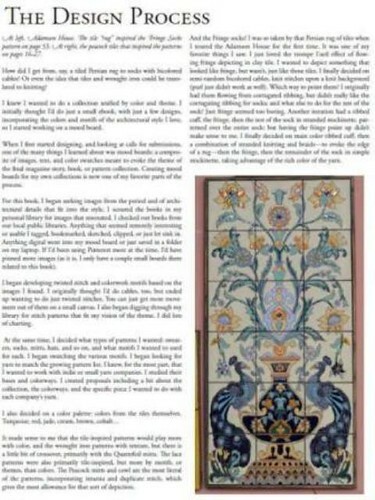 Stephannie also includes details about the inspiration she found in the California Revival architecture and the tile mosaics that are still being hand made in that area. These sources of inspiration are behind all her designs and give the collection a wonderfully cohesive feeling in spite of the variety of projects and colors involved. As a designer myself I love to get that peek into how others are inspired. 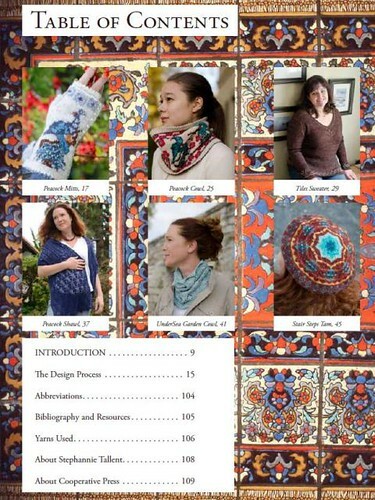 I’m happy to announce that Cooperative Press is letting me give away a copy of California Revival Knits right here! To enter the drawing all you need to do is leave a comment telling me which pattern from the book is your favorite. 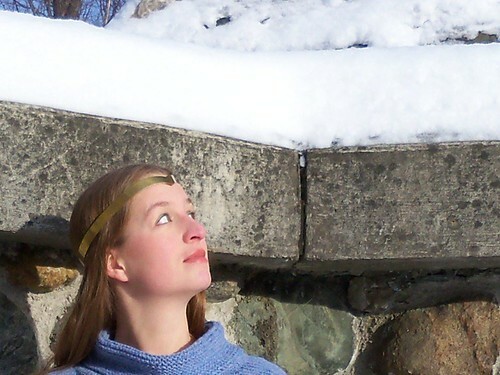 You can check them out here, or find them all on Ravelry. Make sure the e-mail address you leave is good, since that’s how I’ll contact the winner. You have until noon (EDT) May 9th to enter. 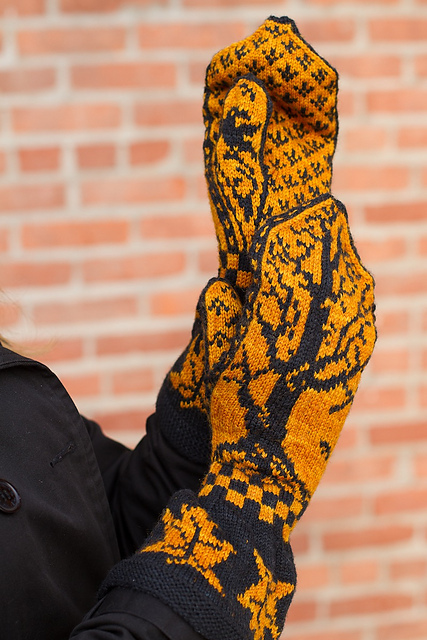 My favorite pattern, ever since the previews came out, are the Peacock Mitts They’re GORGEOUS! Look at the details! 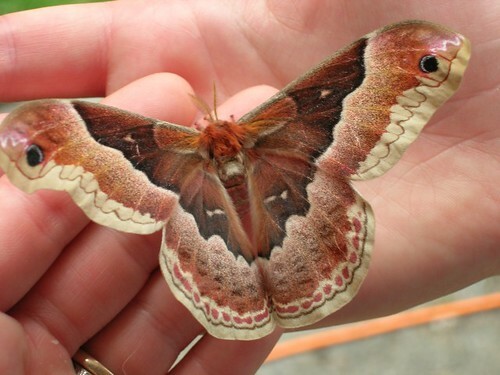 They also involve 10 colors, quite a bit of intarsia, duplicate stitch, and beading… So when I needed a little something mindless to knit while I write up some designs I figured, maybe no peacocks. 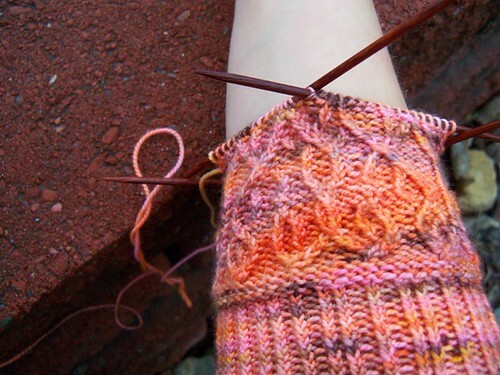 Instead I’ve cast on for a pair of Wrought socks. I desperately need more socks, and these have twisty cables! How could I go wrong? 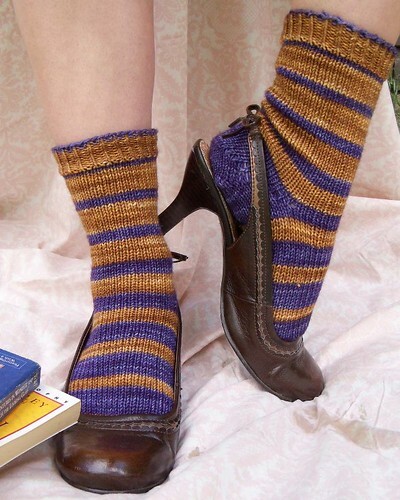 Mine are knit out of some discontinued colorway of KPPPM from the deep stash. I wanted something fun which will hopefully still show off the cables (it’s sort of working). 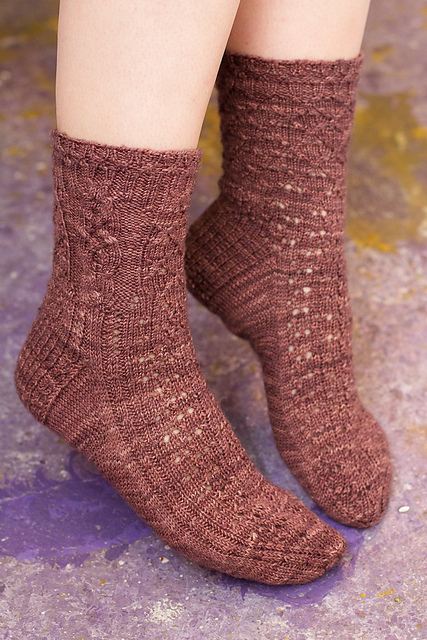 And while my last pair of socks taught me that I don’t really like 6″ sock cuffs I thought these looked a touch short in the photos (hey, warm sock needs in CA are probably less than those in VT) So I doubled the length of the twisted stitch ribbing before I moved into the wrought iron cables themselves. And I’ll openly admit I’m knitting these on my US 1.5 needles because they match the yarn better than the bright green US 1’s.